My behavior, thoughts, actions, choices have consequences: not just for me, but downstream – the people who’s lives I directly impact & influence, as well as those that I may not know, but may be equally affected. The “Keeper of the Spring,” was a quiet forest dweller who lived high above an Austrian village along the eastern slope of the Alps.The old gentleman had been hired many years earlier by a young town councilman to clear away the debris from the pools of water up in the mountain crevices that fed the lovely spring flowing through their town. With faithful, silent regularity, he patrolled the hills, removed the leaves and branches, and wiped away the silt that would otherwise have choked and contaminated the fresh flow of water. The village soon became a popular attraction for vacationers. Graceful swans floated along the crystal clear spring, the mill wheels of various businesses located near the water turned day and night, farmlands were naturally irrigated, and the view from restaurants was picturesque beyond description. Years passed. One evening the town council met for its semi-annual meeting. As they reviewed the budget, one man’s eye caught the salary figure being paid to the obscure keeper of the spring. Said the keeper of the purse, “Who is the old man? Why do we keep him on year after year? No one ever sees him. For all we know, the strange ranger of the hills is doing us no good. He isn’t necessary any longer.” By an unanimous vote, they dispensed with the old man’s services. For several weeks, nothing changed. By early autumn, the trees began to shed their leaves. Small branches snapped of and fell into the pools, hindering the rushing flow of sparkling water. One afternoon someone noticed a slight yellowish-brown tint in the spring. A few days later, the water was much darker. Within another week, a slimy film covered sections of the water along the banks, and a foul odor was soon detected. The mill wheels moved more slowly, some finally ground to a halt. Swans left, as did the tourists. Clammy fingers of disease and sickness reached deeply into the village. Quickly, the embarrassed council called a special meeting. Realizing their gross error in judgment, they rehired the old keeper of the spring, and within a few weeks, the veritable river of life began to clear up. The wheels started to turn, and new life returned to the hamlet in the Alps. Last November, the news of Pastor Ted Haggard’s immorality & drug use became public – it was devastating to him, his wife, his family, & to the church he led. This artcle about LAYOFFS details more of the long term consequences that are happening as a result of his choices. No finger pointing. No accusations. My heart breaks. From Mark Cuban’s blog… Wondering who Mark Cuban is? Here you go. Why am I such a suit hater ? 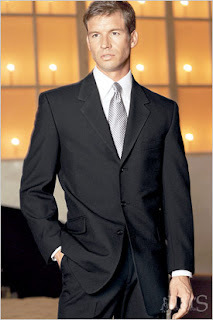 I’m not a suit hater, I just could never think of any good reason for any sane person to wear a suit in the first place. Exactly what purpose does a suit serve ? Why in the world are so many people required to wear a suit to work ? Do the clothes make the man or woman in the western world today ? Does wearing a tie make us work harder or smarter ? Is this a conspiracy by the clothing, fabric or dry cleaning industry to take our money ? Or are we all just lemmings following a standard we all know makes zero sense, but we follow because we are afraid not to ? What is the “Emerging Church?” What makes a church “Emergent?” Is there such a thing as a post-modern “style” of church? If so, is this “style” going to go/already heading towards extinction?